Many people I interview reference their parents and families as role models for higher education. Their parents went to college and they followed in their footsteps. But what if you didn’t have that? What would you do? Would you have enough courage to start down that path alone? Would you have enough motivation and faith to overcome obstacles? Last year, more than 29,000 Valencia students did just that, they were the first in their families to attend college. These students are their own role model and work hard every day to change the trajectory of their family for generations to come. To help these students, Valencia has launched the first ONE campaign. This is a six-week online effort to raise $100,000 for first generation student scholarships. 100 percent of the funds raised will go directly to support these scholarships, and each donation is eligible for a dollar to dollar match. Each student story is unique but there is some commonality among first generation students. Often, they report that they watched their parent(s) struggle, not having a postsecondary education. And for each there is a mention of pride, pride they have for their accomplishment and the pride that they feel from their families being the first to attend college. Natacha suffered a great tragedy, she lost her parents. That caused her to choose a career in the healthcare field. She wants to be a doctor to save people because she doesn’t want others to feel the way that she feels, not having those she loves and cherishes there to cheer on her accomplishments. Samantha’s parents didn’t go to college, but they instilled in her the importance of education and greatly influenced her decision to become a nurse. She wants to give back to her parents and make them proud. Alexander watched someone close to him struggle with cocaine addiction and since then he has always been anti-drug. He plans to finish his AS degree in criminal justice and attend the police academy. Bianca’s dad was her only parent growing up and he never got past middle school. She shares that although he lacks a higher education, he is intelligent, gaining his accomplishments through hard work, and he taught her not to take any of life’s experiences for granted. She has been accepted to Valencia’s nursing program and recently got a job in the field. Sequilla wants to get her AS in accounting and then move on to get a bachelor’s degree in business. She finds that going to school and being committed to her goals has had a ripple effect on her ten-year-old son. He has gone from a C student to straight A’s. Isaias did some soul-searching and decided he would like to pursue a career in medical administration. He realized that a higher education would afford him more opportunities and a chance for a career. Taisha remembers a childhood of poverty, addiction and welfare. As an adolescent she found herself in homeless shelters twice. When she became a mother she got serious about her education, determined to break the cycle of poverty and give her children a cherished childhood. Taisha is completing all of her pre-requisites and hopes to be accepted into Valencia’s sonography program. Edith started a company with her husband but the economic downturn hit the business hard. She realizes that the job market has become much more competitive and most employers now require some sort of degree. She is at Valencia pursuing a degree in computer programming and analysis. 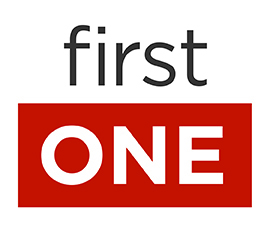 These stories represent the students that will benefit from the first ONE campaign. This online campaign will be a new venture for the foundation and we invite you to embark on this journey with us. Visit www.valencia.org/firstONE for more information. If you are interested in leading a fundraising team, please contact Donna Marino, CFRE, at 407-582-3128, or Barbara Shell at 407-582-3219.